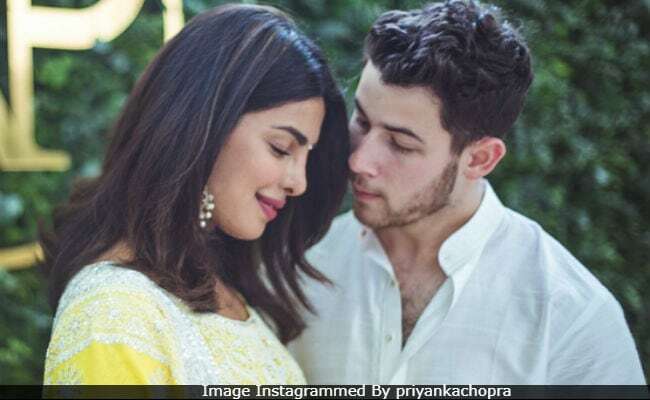 Now that American singer Nick Jonas is officially engaged to Priyanka Chopra, his brother Joe welcomed the actress to the family with an adorable post. "I couldn't be happier for my brother. Welcome to the family, Priyanka Chopra. We love you," Joe wrote while sharing the same picture the newly-engaged couple shared after their roka ceremony. Joe Jonas and his fiancée Sophie Turner (Game of Thrones actress) hung out with Priyanka and Nick in London in July. It was at the same time Nick had reportedly proposed to Priyanka. Nick and Joe's father Kevin, who is in India for the festivities, also posted the same photo and wrote, "So happy for the engagement of our son Nick Jonas and we welcome Priyanka Chopra into our family with love and excitement." Here are their message for Priyanka and Nick. Sophie Turner also shared the same photo of Priyanka and Nick and wrote, "Wow. First, I'm blessed with an incredible future brother-in-law, and now such an beautiful, inside and out, future sister-in-law. I'm so excited to welcome you into the family, Priyanka Chopra. I love you both"
For the ceremony, Priyanka wore a yellow Indian outfit while Nick complemented his fiancé in a kurta pyjama set. Soon after the roka, they shared the news on social media with loved-up identical posts. Celebs like Ranveer Singh, Alia Bhatt, Varun Dhawan, Hrithik Roshan and several others shared congratulatory messages for the couple. In a separate post, Priyanka thanked everyone for 'blessings and wishes' and gave a sneak peek into the roka ceremony. Priyanka's cousin Parineeti and her close friends Arpita Khan Sharma, Mushtaq Sheikh, Srishti Behl Arya and TV presenter Anusha Dandekar were invited to the function. Their engagement party was held later in the night.